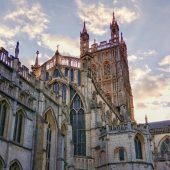 Like a secret gothic Easter Egg level in Fifa18, we’ve hosted an amazing football tournament inside Gloucester Cathedral! 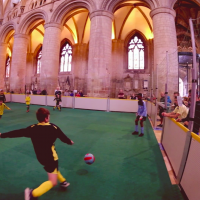 Gloucester Cathedral, in partnership with Psalms, the diocese, Youth For Christ and Scripture Union have hosted an amazing celebration of the World Cup with a day-long football extravaganza, bringing local schools and communities together in the Cathedral Nave. 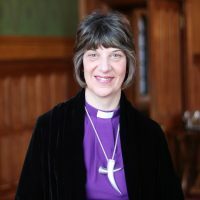 The Very Revd Stephen Lake, Dean of Gloucester said, “There’s so much going on, and that’s what Cathedrals are about: sacred space and common ground, able to do wonderful things in a unique context, which hopefully can speak to people about the love of God and that life can be enjoyed in all its fullness.” – extra brownie points for getting the reference to our Life vision in there, Stephen! Organised largely by the Psalms team, the day was filled with sports ministry touches and sparked a huge number of conversations around life and faith. Andy Poole from PSALMS said: “It’s an experience that the kids will remember for the rest of their lives. When they think about church, they will look back on this day of enjoyment and engagement. It was a huge success and the Cathedral was buzzing all day. About 300 people came through including parents. 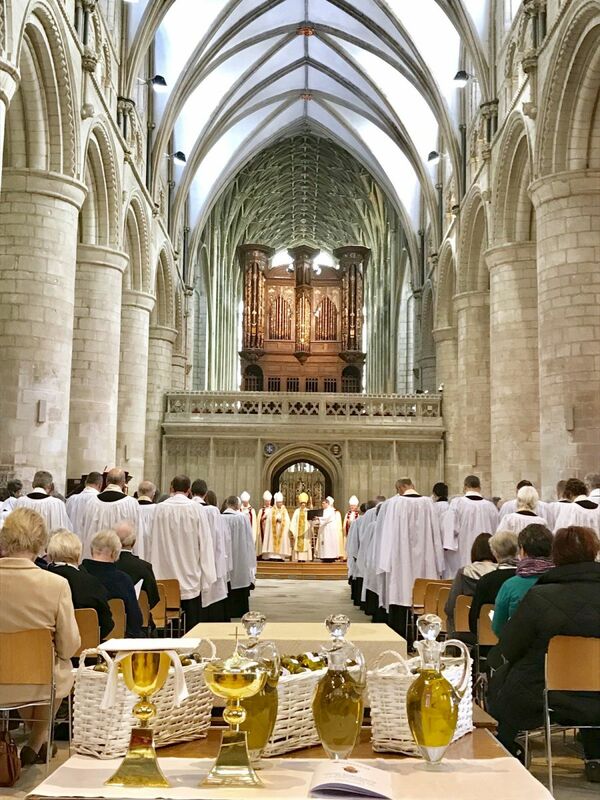 There were only three church teams and the others were school or local teams, who enjoyed the chance to take in the architecture and spiritual side of the Cathedral. As well as the football, there was a banner reading ‘God is…’ where people could share their thoughts on God, a prayer station and a mention of the Cathedral’s heritage of worship and spirituality before every briefing. 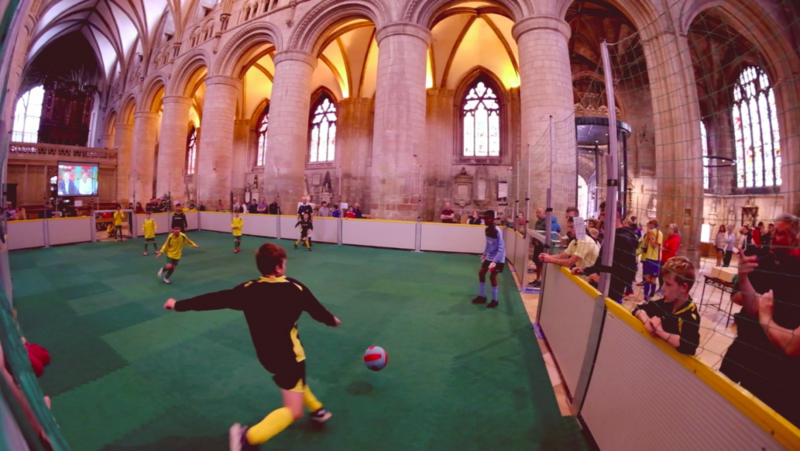 Would you like to borrow our MUGA and host your own football tournament inside your cathedral or church?